Is this clock worth repairing? It is in the original box. On the side it says No. 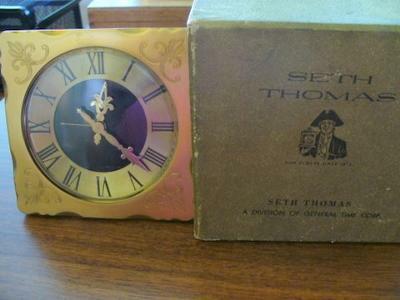 999 PPLENDOR by Seth Thomas 40 Hour Alarm Plain Dial. On the back of the clock it is stamped Germany. I received it as a wedding present in 1967. It will no longer wind. Is this clock worth anything?